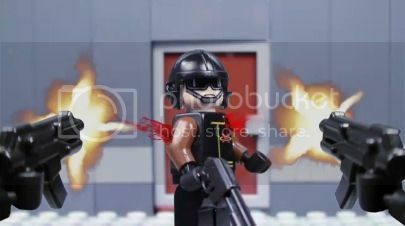 Fair warning: as you might expect from a stop-motion animated short based on the mega-popular Call of Duty: Black Ops video game, this video–comprised completely of Lego figures and CGI effects–is gleefully violent and loud. So if your sensibilities are insulted by senseless Lego minifig violence and teeth-rattling gunfire, see if you can just appreciate the project for its, you know… technical merits. Via Reddit, who’s pretty sure that most of those minifigs were asking for it. Smarmy bastards.